Winix PlasmaWave 5300 Air Cleaner Model - Buy or Not? 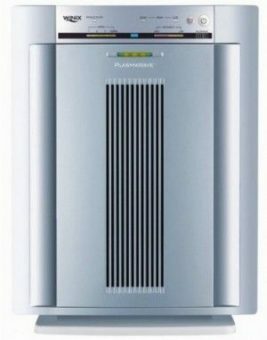 Home » Air Purifiers » Winix PlasmaWave 5300 Air Cleaner Model – Buy or Not? Winix PlasmaWave 5300 air cleaner model is designed for larger rooms and places up to 350 square feet in size. Winix is known for providing great air cleaners, and the WAC5300 is no exception. Winix WAC5300 Plasmawave cleaner has features that are not typically found on other units in its category. It is intended for use in a large rooms or bedrooms. The Winix 5300 combines the best from air cleaning technologies to capture all particles which can’t be seen by eyes. Its primary purpose is to provide and deliver cleaner, fresher air. It uses True-HEPA Filtration system which removes 99.97% of particles as small as 0.3 microns. Winix PlasmaWave Air Purifier 5300 is a mid-powered air cleaner, with good airflow for the price. It is AHAM (Association of Home Appliance Manufacturers) certified for CADRs (Clean Air Delivery Rate). Four fan speeds provide a range of air delivery rates and perhaps the quietest noise to output ratio in the price class. It can be used even when you are sleeping as it will not disturb your household peace. The Winix PlasmaWave 5300 air cleaner model effectively removes dust, pollen, mold spores and pet dander. It will even remove other airborne particles like smoke, kitchen odors and organic chemicals. Pre-filter captures larger particles such as lint and hair. This three-stage air purifier uses two filters to remove 99.97% of common airborne particles invisible to the human eye, leaving you with a cleaner, healthier indoor environment. In addition to two air filters, the Winix air purifier 5300 True HEPA features PlasmaWave technology to neutralize bacteria, odors, and gasses in the air. The HEPA Filter should last one year. The carbon (black) filters last about three months, depending on use. You can buy HEPA with four carbon filters for around $80. Some people have bought the 5-stage Winix 9000 filter for the Winix 5300 as a replacement too. True-HEPA filters are crucial for allergy and asthma suffers because they capture the pollen, mold spores, smoke and pet dander from the air. Not all filters can be called a true HEPA because they have to pass a strict standard. Winix PlasmaWave is recommended if you or family members have an allergy or asthma problems. It should definitely help with those problems. Winix Plasmawave 5300 Air Purifier. Find out how the 3 stage air filtration process works. Winix PlasmaWave 5300 air cleaner model uses Auto Mode. When in Auto Mode, the Air Quality Sensor continually monitors the quality of the air in the room and will automatically adjust the settings for optimal performance to quickly remove any new contaminants, which is very handy. If you try to pass gas or sweep some dust from under your carpet, the sensor of the Winix PlasmaWave 5300 will definitely know about it. The unit surprised me. It is silent, auto speed fan and odor detection which modulates the speed of the fan along with the plasma cleaning option…. What is PlasmaWave Technology? Winix’s own PlasmaWave works differently than many of the other air cleaning technologies. Other Ionizer type air cleaners produce ions to attach to pollutants, so they fall to the floor or stick to walls and furniture and then need to get vacuumed. PlasmaWave does differently by merely weighing down the particles. It breaks apart odor, allergens, chemical vapors and other pollutants at the molecular level without producing any harmful ozone. The air flow is excellent, and you can quickly go from auto and quiet to full blast. pretty happy with the purchase. The Winix air purifier 5300 quietly and efficiently captures and neutralizes a broad range of indoor pollutants, making it an excellent air purification system for asthma, allergy sufferers, pet owners and anyone looking to improve their indoor air quality. Air passes through a carbon pre-filter in the first filtration stage. This filter traps dust, pollen, lint, and pet hair. In addition to capturing large particles visible to the human eye, the carbon filter also reduces odors like those left in the air by cigarette smoke and cooking. After air is processed through the pre-filter, it goes through a High-Efficiency Particulate Air (HEPA) filter. This filter captures 99.97% of airborne particles as small as 0.3 microns, including pollen, pet dander, mold spores, dust, and smoke. The final stage of cleaning uses Winix PlasmaWave technology. This technology generates thousands of negatively and positively charged ions each second. As the ions are released, they combine with water vapor in the air to form Hydroxyls. These hydrogen and oxygen molecules attack virus-causing bacteria, chemical vapors, odors, and gasses in the air and neutralize them on contact. No harmful ozone is generated with PlasmaWave technology. The Winix 5300 has increased flexibility with an option that lets you turn the PlasmaWave feature on and off. Winix PlasmaWave 5300 air cleaner model is energy rated certificate. That means it is 40% more energy-efficient compared to models which don’t have that certificate. That could save buyer approximately 230kwh/year and provide smaller utility bills. It definitely pays to have air purifier with energy star rated certificate. Now that I’ve had this some time and am on the 3rd replacement filter, I can say that when the filter is at the end of its life, my lungs suffer greatly. This thing will detect a fart from 3 miles away. It’s not superior when it comes to removing the smell from something burnt on the stove however.. Good product, I’d buy again. With an electronic control panel and advanced automatic capabilities, the Winix PlasmaWave 5300 is simple to operate and easy to maintain. The digital display panel features soft-touch buttons and user-friendly indicator lights. The fan speed indicator shows the current speed setting with a green light, while the mode indicator illuminates independent signals for the sleep and auto functions. Additionally, intuitive sensors and indicators ensure efficient operation and help you maintain proper upkeep for lasting performance. To perform efficiently, air purifiers require clean air filters. The replace filter indicator illuminates on the control panel when it is time to replace the HEPA air filter (typically once per year). This helps your Winix air cleaner deliver optimum air purifying performance and guarantees healthy air circulation. The air quality sensor automatically monitors the amount of pollutants in your indoor air and automatically adjusts to an appropriate fan setting for each air quality level. The air quality indicator, located next to the air quality sensor, displays the current air quality level on the control panel. An orange light on the air quality sensor indicates rising levels of airborne pollutants, while a red light notifies the unit of poor air quality. When the red light illuminates, the Winix 5300 will adjust the fan speed to a maximum setting to treat the air immediately and quickly. Lightweight Design – Weighing only 15 pounds, this compact air purifier takes up little space and is easy to transport from room to room. Quiet Operation – The Winix Plasmawave 5300 air cleaner model by Winix features an ultra-quiet fan that emits minimal sound for peaceful, nighttime operation. Bonus Filters – Included in your package area three additional carbon filters, so you won’t have to worry about purchasing a replacement for an entire year. Sleep Mode – When operating in sleep function, the air purifier maintains a low fan speed while the lights on the display panel dim for optimum comfort throughout the night. This Winix PlasmaWave air cleaner has multiple optional filter packages available for replacing the filters that come with the model. Choose which replacement option works best for you and your space. # 1. If you’re looking for a complete, 4-stage replacement cartridge, consider the Washable Ultimate Filter Cartridge. It includes an anti-bacterial pre-filter, a TRUE washable HEPA filter, mesh shield, and activated carbon filter. These filters, which are all washable and re-usable, work together to combat odors and the tiniest of particles floating around your space. Wash them every three months for best results. This is ideal for people who want to wash and re-use filters without having to replace them every three months (generally they can be washed up to 6 times without needing to be replaced, but check them after each wash to ensure they’re still in good condition). # 2. Consider the Winix Replacement Carbon Filter 4-pack if you don’t need to replace your washable HEPA filter, which lasts a year, but you need to replace carbon filters. While they’re used with a washable HEPA, the filters in this package aren’t washable and need to be replaced every three months to remove odors and chemical vapors from your space efficiently. These four filters are all sanitized to provide extra freshness, so be sure to replace them as needed. Note: The carbon filters are washable, but these need to be replaced. It’s really just a matter of preference as to whether you’d rather wash or replace your filters. # 3. The Winix Replacement Filter Set is also an option for this model. This package provides you with enough filters to last you an entire year. This package doesn’t include the anti-bacterial pre-filter, but comes with a true HEPA filter that can be used for a year, and four carbon filters, which can be used for up to 3 months each. Customers who purchase this filter package will need to remove the cartridge provided with your model and only use the HEPA and a carbon filter to catch particles and odors. No mesh shield or anti-bacterial pre-filter are included with this package. If you’re only looking for a replacement washable HEPA filter and you have plenty of carbon pre-filters, then purchase the Winix Replacement Washable HEPA Filter. This filter removes up to 99.97% of airborne pollutants down to .3 microns and can be washed up to 6 times before you need to replace it. 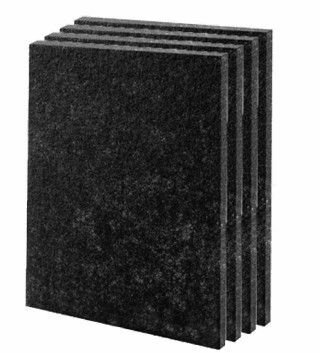 Use this filter in conjunction with the Winix 115119 carbon pre-filters (sold separately). Many expressed their appreciation regards to the cost of the Winix PlasmaWave 5300. Many of them have decided to buy additional units because of its performance and its very affordable price. One issue that you should take note is that the current version of the Winix WAC 5300 PlasmaWave does not come with a remote control. Some people do not approve of this because the remote is the only way you could turn off the PlasmaWave function. Why is there no remote controller? Winix believes that the PlasmaWave technology is perfectly fine and should always be activated. Older reviews of the Winix PlasmaWave 5300 show that there used to be remote but currently, this isn’t the case anymore. Still many people have bought the Winix 5300 because of its very efficient performance. Some have gladly bought the next newer model which is the Winix WAC5500 because it does come with a remote control and a washable HEPA filter which is a big plus since you’ll not have to buy a replacement filter. You can also check our review of Winix 9500 air cleaner. Some people adjustments by getting an additional charcoal filter to increase the effectiveness of removing odor. They also bought a washable pre-filter to prevent dust from blocking the charcoal filter and extend the HEPA filter’s life. So that can be an option too. Replacing the filters is really easy. You just simply remove the front panel, pull out the old filters and put in new ones. Winix PlasmaWave 5300 air cleaner model is silent when the unit is in low to medium speed but eventually you will notice the noise level go up when it’s in turbo mode. Naturally, you cannot avoid the noise level when in turbo because it’s moving huge amounts of air. The majority of the people don’t really use the turbo setting all day, especially at night. The turbo mode is probably best when you’re not in the room or if you want to do some quick clean up of the air. Winix 5300 is air purifier which should be great choice for your household, especially medium sized to larger spaces. It uses plasmawave technology and it is energy star rated too. It is great air purifier. My wife bought it for our living room where we spend most of the days. I can honestly say that it does a great job. I also see high ratings of this Winix air purifier on many shopping websites, before I buy an air purifier, I’m researching first to get the best one. Yes, you cant go wrong with Winix Air Purifier. But if you are looking for air cleaner with more options and power check out BlueAir or IQAir purifiers. The PlasmaWave feature can be shut off by pressing and holding the power button for 3-5 seconds.